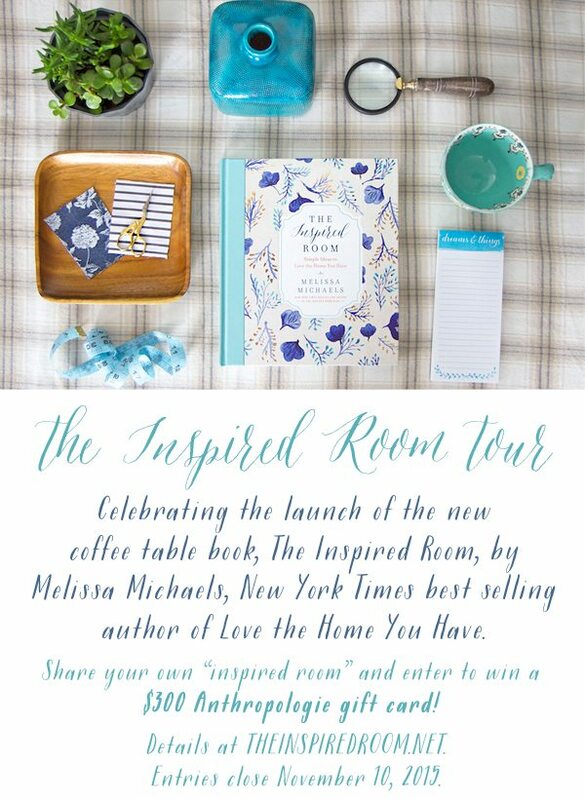 My friend Melissa Michaels’ latest book, The Inspired Room launches November 1, and in honor of celebrating the book and it’s message about creating a home you love and that feels good to you, several bloggers are featuring a room in our own home that we love. You can join the room tour and a chance to win a $300 gift card to Anthropologie here. Our baby GIRL (I’m still giddy over saying that!) nursery is underway and quickly becoming a favorite room in our house, but since it’s not yet complete (next update is this Wednesday and check back November 11 for the big reveal! ), I have to say our master bedroom is probably my favorite room. This room has evolved over time (about 5 years! ), but in the end, I’m glad we took our time and ended up with a well-edited room that contains only things we love. It’s truly a soothing retreat to return to at the end of a long, busy day that provides comfort and peace. I actually love going back to bed on the weekends too!, when time allows. Gimme a cup of coffee, some magazines, and fresh, clean sheets and I’m a happy woman! 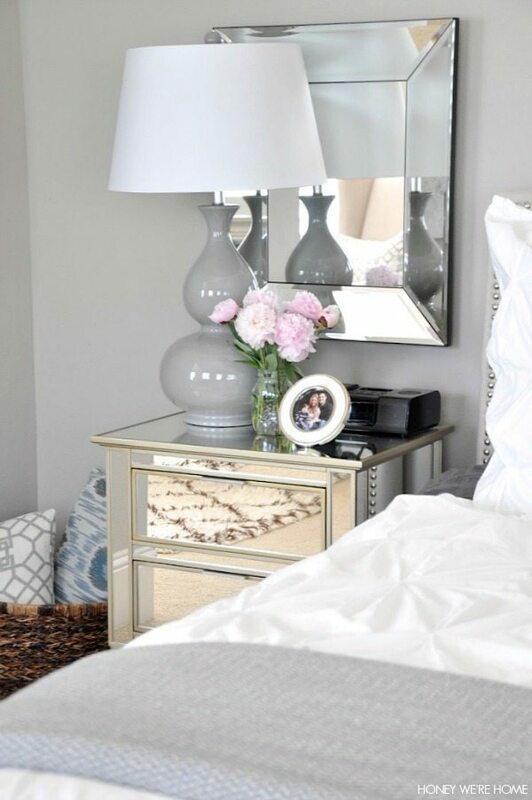 For a complete list of sources for the items in my master bedroom, go here. 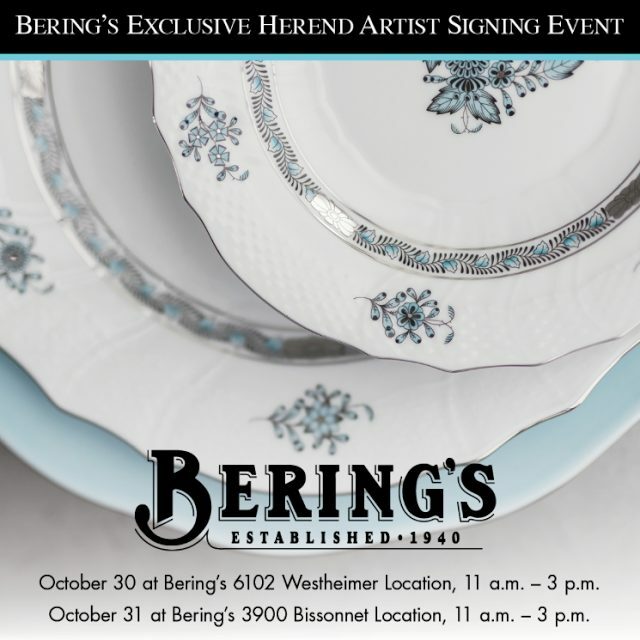 Come Join Me at Bering’s on Friday! And I wanted to let you know of a fun event in Houston at Bering’s I’ll be attending this Friday with Lauren (Sunday Beach) and Esther (Cute Heads). We’ll be there with Herend painter Marianna Steigervald, who painted the adorable baby whale figurine pictured below. Even better, you can enter to win it! Isn’t it adorable and also so cute, given that Lauren, Esther and I are all pregnant and due around the same time! This baby whale would be a darling addition to our nursery bookshelves! I’d love to see you if you’re in the Houston area. I’ll be at the Bering’s on Westheimer from 11:00 a.m. to 12:00 p.m., then I have to scoot off to my son’s school for the Halloween parade! Can’t believe Halloween is already on Saturday! 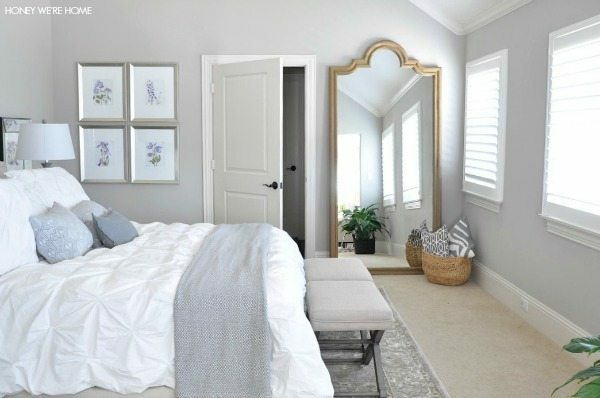 Your bedroom is so beautiful! I can't wait to have a bigger home so our bedroom can be a a retreat like yours. 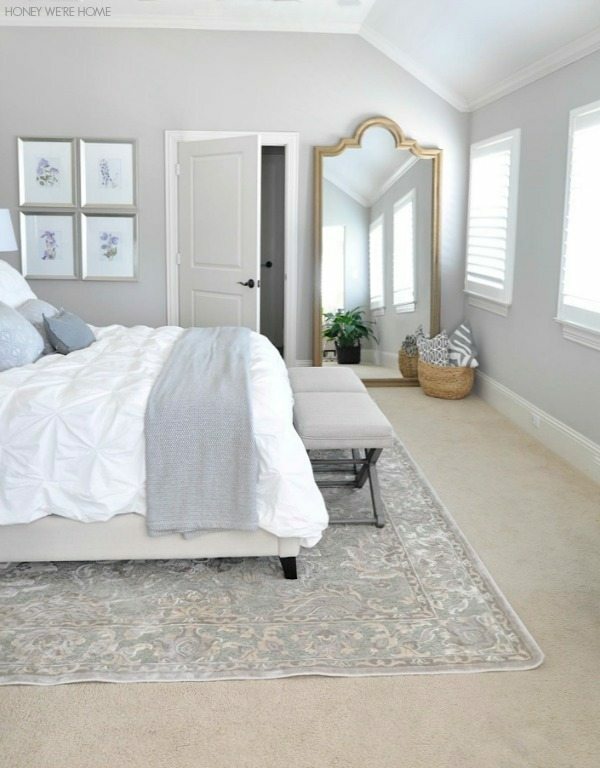 Such a beautiful and serene bedroom! 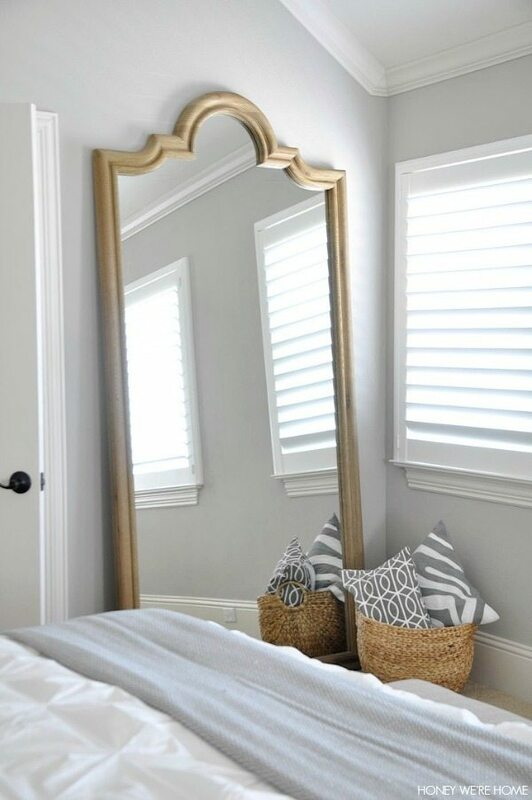 I LOVE your gorgeous floor mirror, I'm swooning over here! Everything is sooooooo beautiful! 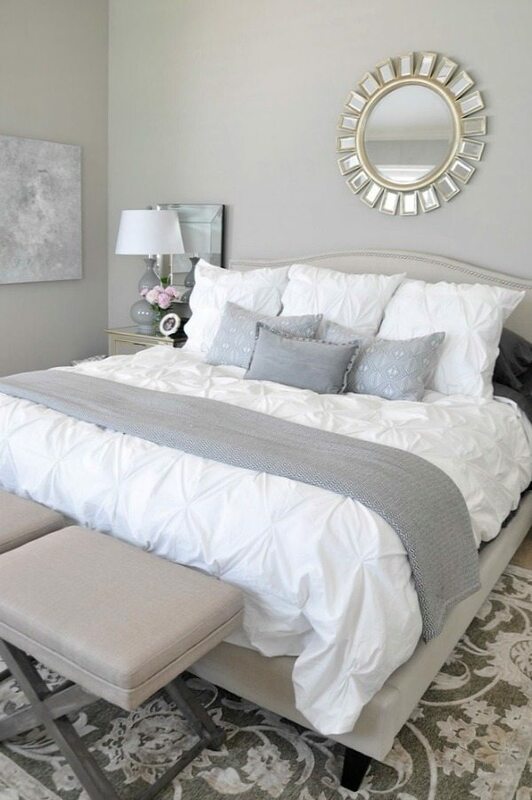 love the grey and white!